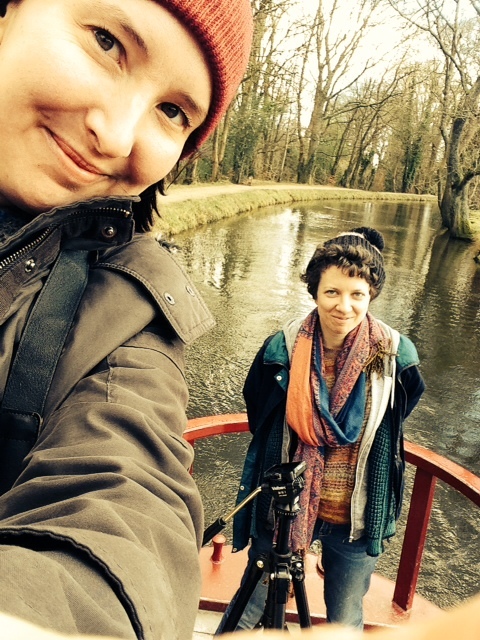 The Boat Studio was created by artists Ellie Young and Amber Mottram who met whilst studying at Cardiff School of Art and Design. After graduating they launched a successful crowdfunding campaign to raise money to buy a boat. They also organized a live art auction, gig and numerous fundraising events to help kick start their project. They bought their boat in Autumn 2015. 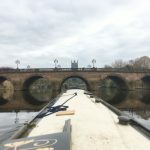 Their project offers opportunities for Welsh visual artists, filmakers or musicians to be taken on a residential journey through North Wales into England, to one of the cities connected by waterways. An artist from that city will do the journey back into Wales thereby creating links between different artistic communities. Ellie and Amber are both practicing artists and it is integral to the project that they crew the boat for the duration of the residencies. The exchange of ideas and dialogue with the artists on board directly inspire their own work. These personal collaborations are part of a larger network of connection, bridging rural communities in Wales to cultural hubs in England. Click the Donate button to make a direct donation to our PayPal account. In return you will get some awesome rewards detailed below! 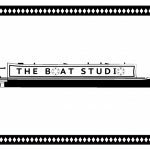 For your pledge we will send you a hand written ‘The Boat Studio’ postcard and give you a shout out on Facebook and Twitter! 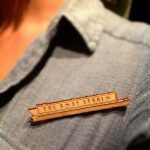 Adorn hats, bags and clothing with this awesome boaty patch! 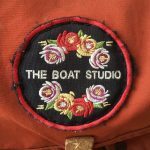 Get a funky custom made Boat Studio badge to snazz up your outfit, a hand written thank you postcard and a shout out on Facebook and Twitter! 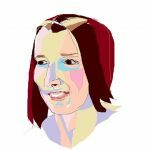 PERSONAL PAINTSHOP PORTRAIT BY ELLIE YOUNG!! 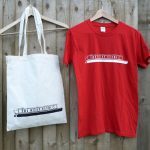 Get your hands on a snazzy T-Shirt and Tote bag for £25 all in! 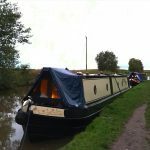 As a reward we will personally chauffeur you and four mates up and down the canal. We can take you where you wish and we will even include a home cooked lunch on deck! A whole weekend use of the boat! Drift away on our Boat Studio from Friday-Sunday. 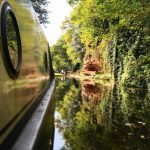 You and friends can travel, make art or just enjoy the slow pace of our beautiful inland waterway system. A WEEK LONG BOAT INDULGENCE! A whole week use of the boat. Take some time out to get your creative juices flowing and enjoy cruising the canal system on The Boat Studio. We will give you a full tutorial on how to use the boat and be on call the whole of your holiday.